The IIHF World Under-18 Championships are right around the corner, with the festivities set to kick off on Thursday, April 19. Along with the pre-season Hlinka Gretzky Tournament, the U-18s provide the biggest platform for draft-eligible prospects to show their skill and compete against the very best their draft year has to offer. Team Finland, the defending champions from 2018, were dealt a big blow when prospective top-five pick Kaapo Kakko announced he would skip the tournament. Team USA, who have claimed three of the past five tournaments, should be front-runners again after a strong season led by top prospect Jack Hughes. Team Canada, who haven’t won since Connor McDavid led them to the 2013 gold medal, should be hungry to end a long medal drought. The rest of the field is littered with up-and-coming young players and noteworthy names to watch leading up to the 2019 NHL Draft. Here are some players who could boost their stock tremendously with a strong performance in the U-18 Tournament. Alex Newhook took the road less travelled to the draft, choosing to play in the BCHL rather than major junior hockey in order to maintain his college eligibility. All he did was dominate, leading the league in points while captaining the Victoria Grizzlies to the top of the league standings. Newhook was snubbed for a spot on Canada at the Hlinka Gretzky Tournament prior to the season, but he has made his omission look even worse by emerging as one of the most dynamic forwards available this season and a virtual lock to be selected in the first round. 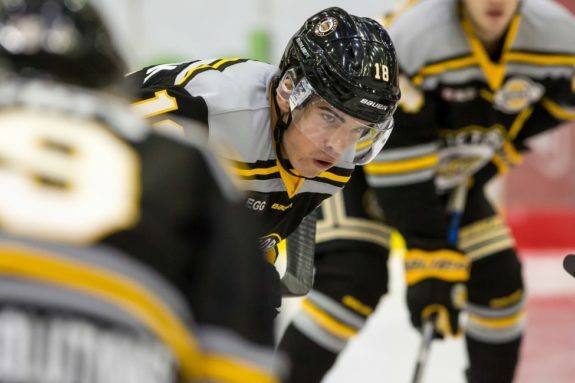 On a Canadian roster lacking the star power of potential top-five picks Kirby Dach and Bowen Byram, the stage is set for Newhook to lead Canada’s offense and vault himself into the discussion for a top-10 selection come draft day. Cam York has gone wire-to-wire as a first round-worthy prospect, playing for one of the most prestigious pre-draft organizations in the United States, the United States National Development Program. However, with much of the spotlight focused on high-profile teammates Hughes, Alex Turcotte, Trevor Zegras, and Matthew Boldy, York has flown under the radar a bit. A smooth-skating defender who played a key role in producing offense from the team’s blue line and contributing in all situations, York is committed to the University of Michigan for next season. However, he has the opportunity in this tournament to step up against better competition than he’s faced all season and prove that he’s worthy of being one of the top defenseman selected in the draft in June. In a draft year that’s lacking on top-end defense prospects, a strong performance in this year’s U-18 Championships could convince a defense-needy team in the top 10 that York has the tools to become a star. 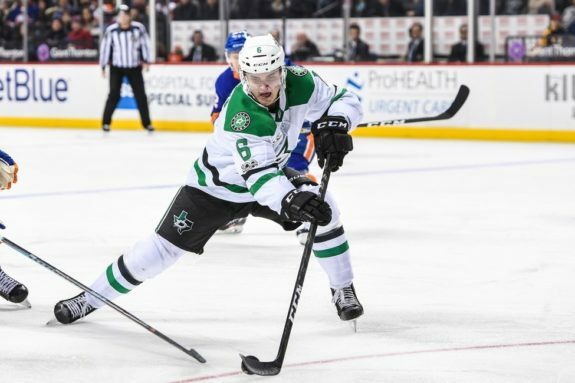 The younger brother of Dallas Stars defenseman Julius Honka, Anttoni has bounced around multiple teams and junior leagues this season, leading to him falling out of consideration to be a first-round draft selection. As a late 2000 birthday, Honka barely missed out on being eligible for the draft in 2018, giving him a full season of experience over many of his peers in this class. Despite his slight frame (5-foot-10, 176 pounds), Honka has very good skating ability and was able to show off some offensive flair in the top Finnish men’s league, producing eight points over 27 games split between two teams. As previously mentioned, Finland will be missing their top player and leading scorer from last year’s gold medal team, Kakko. As one of the few players eligible to return, and the leading scorer among defensemen from last year’s team, Honka will be relied on heavily to help pick up some of the slack from Kakko’s absence. 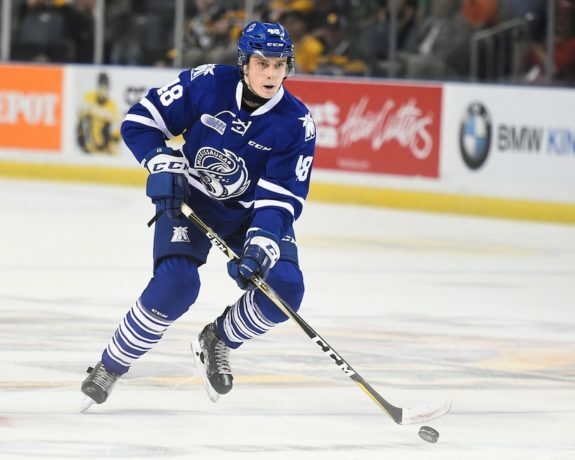 The USA-born Harley has opened some eyes in a big way this season, helping lead a rebuilding Mississauga Steelheads squad to the playoffs despite the mid-season trade of their captain, Ryan McLeod. Despite a solid rookie campaign last season, Harley opened 2018-19 without much fanfare in draft rankings, appearing outside the first-round rankings in most draft outlets. A strong skater with a high hockey IQ, Harley makes a strong breakout pass and could be the key to Canada maintaining a consistent offensive attack. Without the services of top-ranked Canadian defender Bowen Byram, one of Canada’s less heralded blueliners will have to step up and claim important minutes playing on special teams and serving as the team’s top shutdown option. 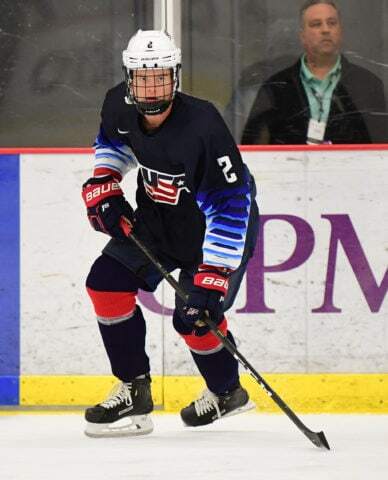 Harley struggled a bit with consistency and turnovers with the Steelheads this season, but a strong performance at the U-18 tournament while showing off some offensive touch could vault Harley up draft boards and squarely into discussion as a potential lottery selection.